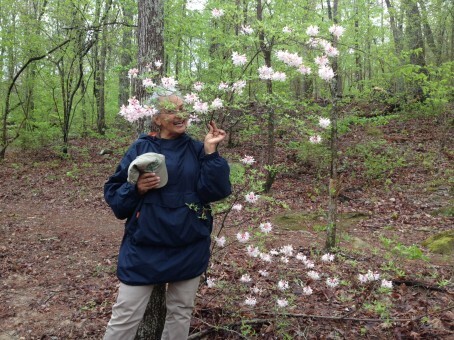 EcoAddendum was founded in 2009 by Pandra Williams, whose work in creating the Boat Rock Nature Preserve in South Fulton County led to her visionary approach in restoring the often badly degraded native plant communities in our region. 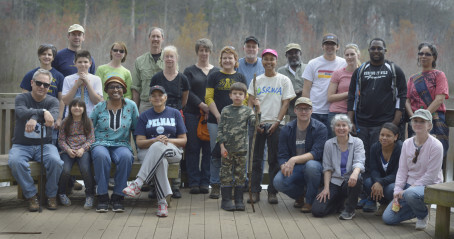 By saving seeds from Georgia native plants and wildflowers, and teaching others how to grow and care for them, Pandra set EcoAddendum well on its way to becoming a leader in native landscape education and restoration in metro Atlanta. Under Pandra’s direction, EcoAddendum cultivated the successful Birds, Butterflies and Bees program, now administered by Trees Atlanta, which teaches schoolchildren the importance of native plants and how to grow them for pollinators and other wildlife, in addition to just being beautiful. Pandra’s work in propagating a wide variety of seed-local native plants grew to become Beech Hollow Farms, her new native plant nursery near Athens, Georgia. 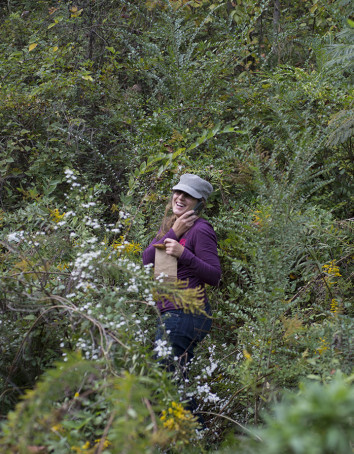 As Pandra shifted her focus to Beech Hollow Farms in 2013, EcoAddendum enlisted artist and naturalist Kathryn Kolb and community leader Jessica Muhammad, who now lead naturalist walks and outings in urban parks and natural areas throughout Georgia in the Walk About Down Yonder program. In addition to educating adults and young people about native trees, plants, wildlife and the network of ecosystems they support, Eco-A also offers consultations with homeowners and greenspace managers about planting native plants and restoring natural environments. 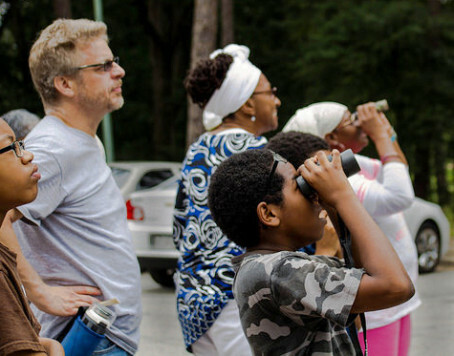 Since September 2013, Eco-A has led over 50 walks in parks, greenspaces and nature preserves for hundreds of people from diverse backgrounds and neighborhoods throughout the Atlanta region. 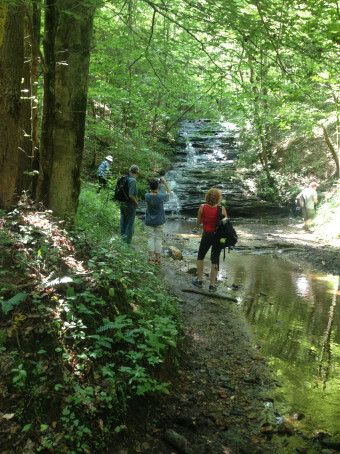 We’ve led outings in City of Atlanta, DeKalb and Fulton County parks, including many less well-known but quite beautiful natural areas. And we’ve led outings to iconic regional parks such as Stone Mountain Memorial Park and Arabia Mountain National Heritage Area, in addition to wild lands in central and South Georgia. Our signature Where the Water Goes series, followed Atlanta’s South River, the Ocmulgee, Altamaha, Chattahoochee and Appalachicola Rivers from their headwaters to the Atlantic and Gulf coasts. In 2016, the series follows the path of the Flint River. 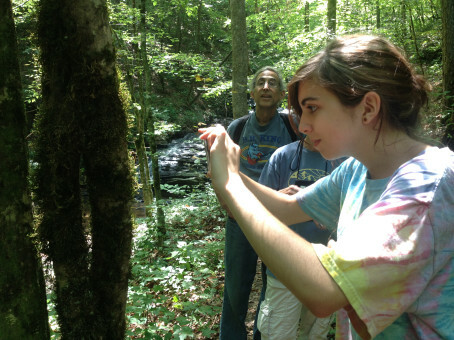 In addition to naturalist walks for the public, Eco-A offers guided outings for clubs, private groups and businesses, and brings an informative PowerPoint presentation to a wide array of audiences, designed to raise awareness about the amazing natural qualities of our region from greenspaces to backyards. 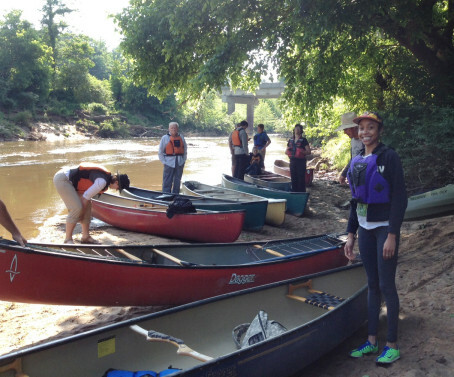 Other non-profit organizations we’ve partnered with on walks and outings include Keeping It Wild Atlanta, South River Watershed Alliance, West Atlanta Watershed Alliance, Trees Atlanta, City of Atlanta, Faith Alliance of Metro-Atlanta, Park Pride, Nature Conservancy and South Fork Conservancy.